Hiro (Kyoto, Japan) on 2 December 2018 in Lifestyle & Culture. 天授庵 Tenjuan, a sub-temple of 南禅寺 Nanzenji Temple, was build more than 600 years ago. It is said that the garden remains as it was originally built. So beautiful the different colors. 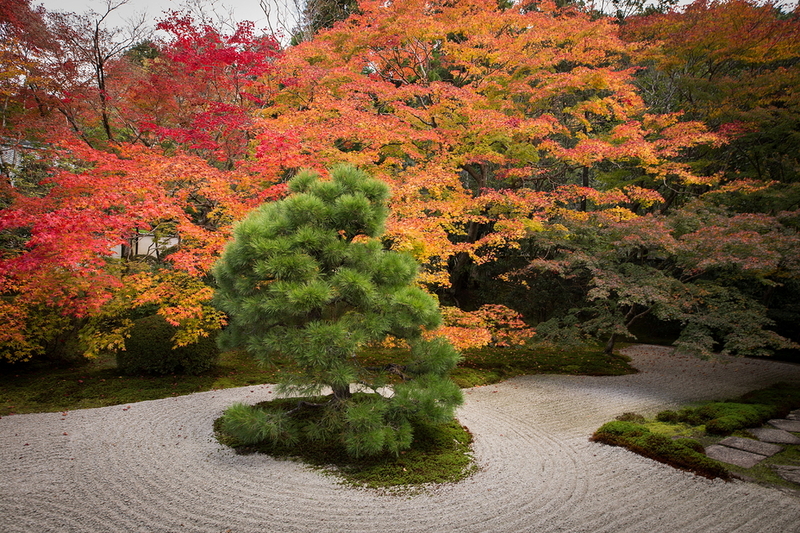 Very beautiful Zen garden, superb autumn colours! Fabulous capture of colors . awesome autumn ikage !! Lovely contrast of colours here !!! The temple gardens in Japan are treasures. To my eye, they are the most beautiful on the planet. This one is no exception. A gorgeous image. Gorgeous trees and tones. Another good one, Hiro ! What I like best is how the tree needles look both sharp and soft at the same time. Toujours dans les belles couleurs de l'automne. Beau contraste entre le conifère vert et les feuillus colorés ! Beautiful composition, light and fantastic autumn colours. A beautiful composition. Gorgeous colors surrounding this lovely peaceful garden. The everground stands out nicely in this neat landscape.